Take your time and browse through my Bucharest city tours to choose the one which suits you best! 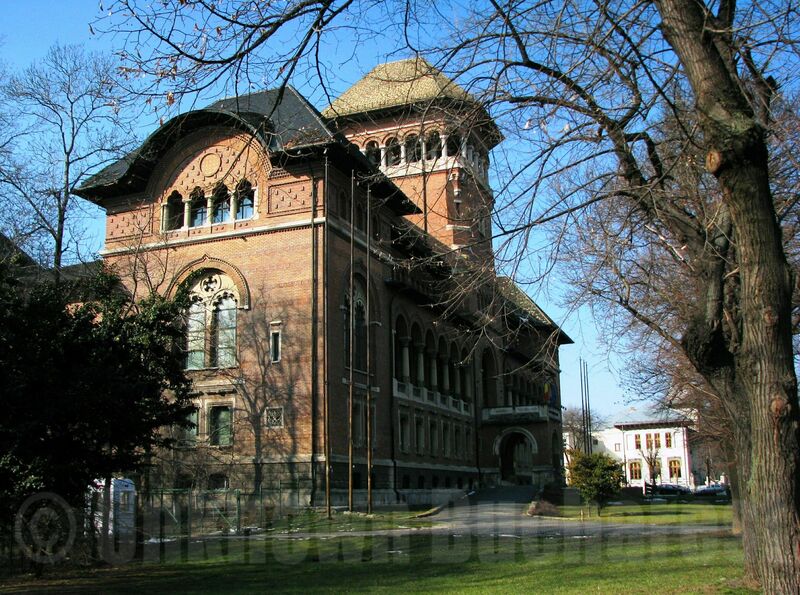 Your customized private guided tour can include a visit to the Romanian Peasant Museum. The Romanian Peasant Museum, one of Europe’s foremost museums of folk art and traditions, is both an architectural masterpiece and a Bucharest cultural landmark. The building in Neo-Romanian style with its characteristic red brick façade is inspired from the historical Wallachian architecture at a monumental scale, and the central tower recalls a monastery’s bell-tower. The museum contains an extremely rich collection of ceramics, folk-costumes, peasant furniture, wooden artifacts, tools, woven materials, wall carpets. Due to the remarkable concept of the museum and the originality of the exhibits display, it received in 1996 the “European Museum of the Year Award” (EMYA, the longest running and most prestigious museum award in Europe). The Museum hosts very popular peasant fairs held regularly throughout the year on different occasions, of which the most important are the Spring Fair (“Martisor”, an ancient Romanian tradition), the Easter Fair, the Saint Mary Fair (at mid August, marking the end of summer and beginning of autumn) and the Saint Nicholas Fair (at the beginning of December, marking the start of the festive season). Artisans and craftsmen from all over the country sell a wide range of home-made products such as pottery, wooden products (spoons, bowls, cheese patterns etc), woven products, rugs, painted furniture, straw baskets, leather bags and belts and so on. Visitors can purchase all kinds of comestibles, such as gingerbread, honey, pies, apple juice, “kurtos kalacs” (a Szeckler specialty), brandy and wine.